When asked whether I would like to review a Mexican restaurant I jumped at the opportunity and said yes! I can't say I'm the most experienced in this type of lifestyle blogging but being quite a foodie (despite not eating a lot, I do like to try out new places) I instantly accepted. The only other food review I've done on my blog was when a friend and I visited Handmade Burger Co. so excuse me if I'm a little rusty.. I added in my outfit for comfort blogging (if that's even a thing haha). I was in Westfield, London and came across Tortilla in the food court and decided to use my vouchers to satisfy my hunger. It was very laid back because of its location but I quite liked that about it because we were able to choose what we wanted and what we didn't want. I opted for the chicken filled burrito with Mexican rice, onions and peppers and cheese. Ok, ok, it's not exactly your typical Mexican dish without the beans, salsa and guaqamole but I have to admit I'm just not that big of a fan of the other fillings, so for me having the option to choose was perfect! With that being said, I really enjoyed it as I wasn't picking out every single thing I didn't like. 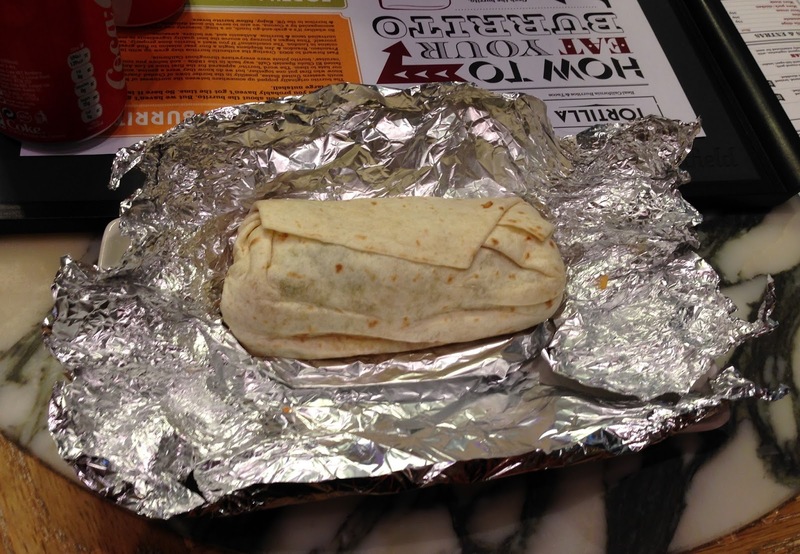 I thought the medium burrito would be too small but it was actually the perfect size - enough for me to finish and feel satisfied. It's a great lunch time option as it's quick to eat and fills you up, and tastes good too (the most important thing). I visited the Westfield London branch which is more of a bar/canteen so it's a very chilled and laid back atmosphere but I know that Tortilla have so many branches in London as well as outside London. My friend, and fellow blogger Maria, recently reviewed the Charing Cross branch which is an actual restaurant, so if you'd like to see what that's like then you can read her review. Have you ever been to Tortilla? What did you think? But I'm glad you liked how it tasted! 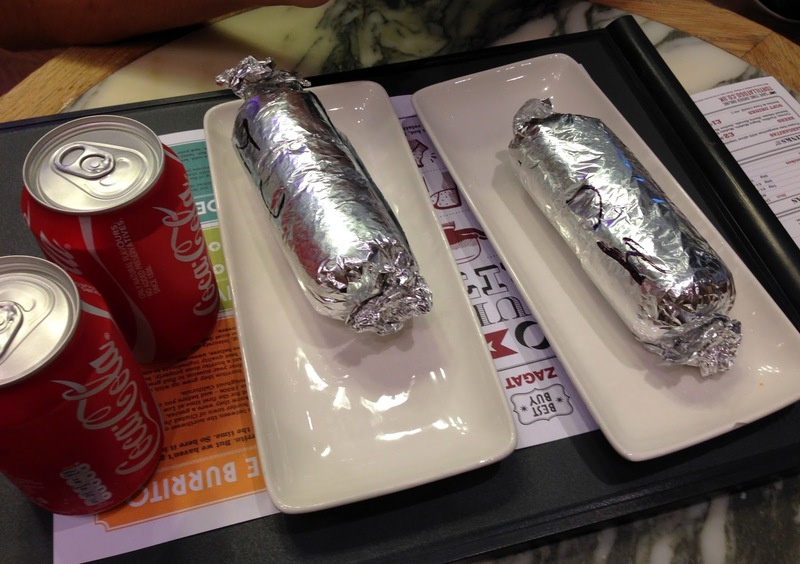 It's nice that there's a selection of fillings and tortillas available for burritos at Tortilla. I've never been to Tortilla but I've microwaved Amy's frozen burritos. 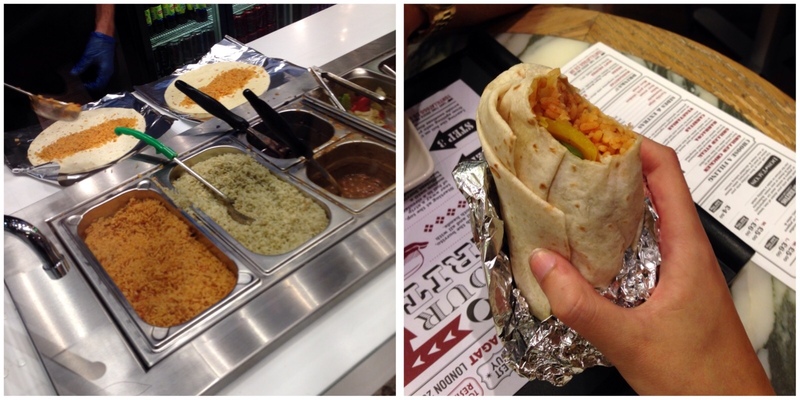 I'm a vegetarian and Amy's kitchen makes some burritos that have vegan ingredients. Your Topshop t-shirt and jeans look great and your hair looks healthy and pretty. I have that Tortilla place near me! I must try it - I love your outfit too :) Simple but so cool!